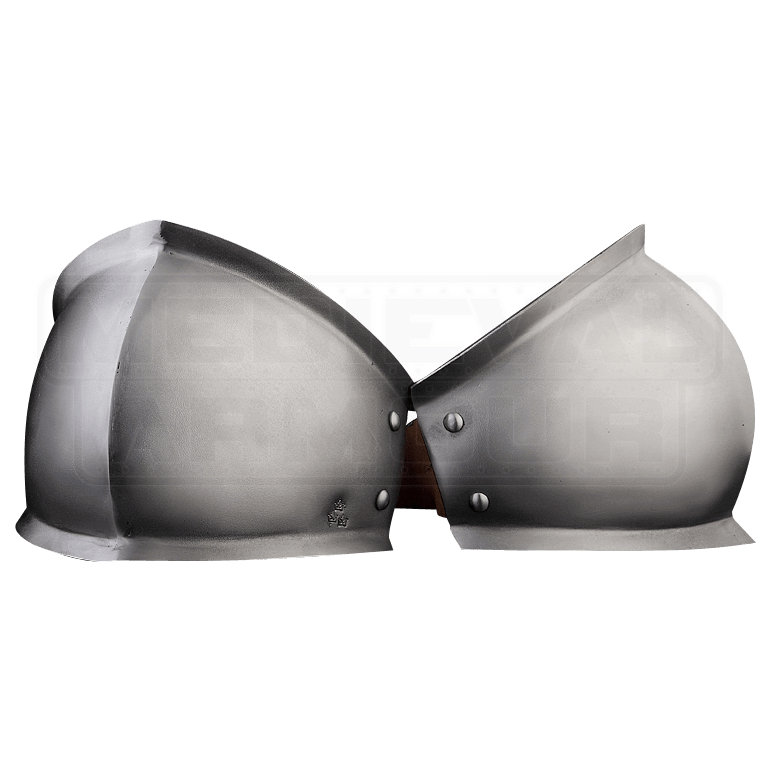 Starting in the second half of the 13th century, it became more common to see steel armour for covering the elbows and knees. The 13th Century Elbow Cops offer a classic look ideal for matching 1250-1350 armour styles. The edges of the steel couters are slightly flared, and a ridge runs down the center of the elbow armour. The steel elbow cops are lined with cotton canvas for increased comfort, and leather straps buckle them securely in place. The medieval couters work well for LARP events and historical re-enactments!